I always look for things I can declutter in the house. I came across these paper butterflie I made a while ago for a project (Butterfly Pens). If you are interested in making these paper butterflies, click HERE. Feels like a waste just to toss them. I really like them. Also my dad got me some butterfly foam stickers. 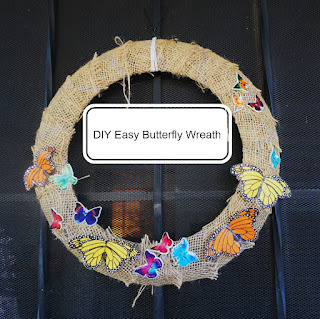 I roughly arranged these butterflies on my old wreath I used for Easter wreath. I liked the look. So I used white thread for foam butterflies and wires for bigger paper butterflies. There, cost me nothing. 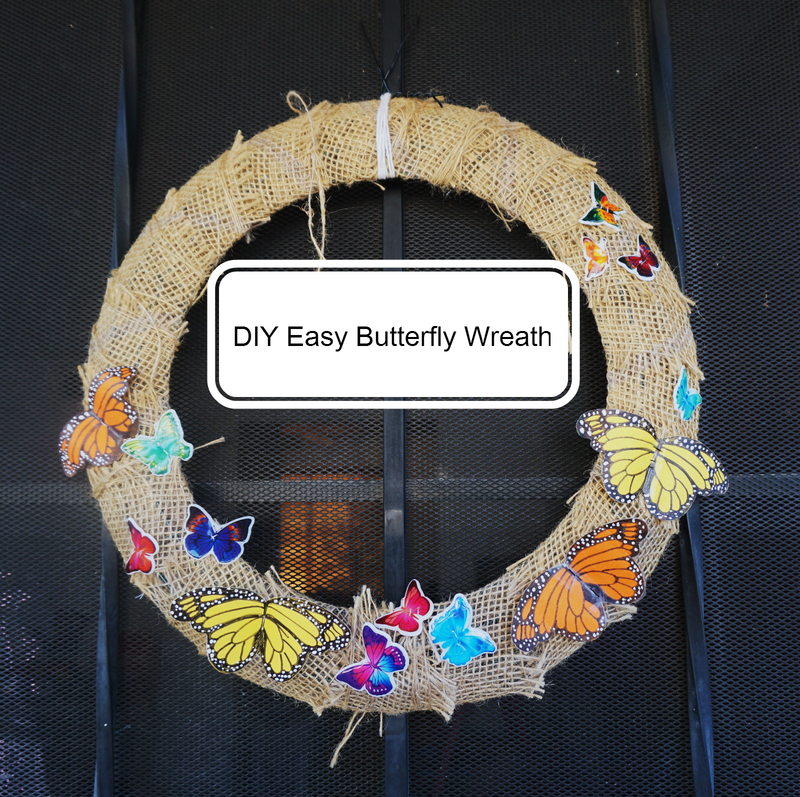 I got this beautiful spring/summer wreath for my front door.